Publishing contracts not only map out the life of a book, they also underpin the very business of publishing. 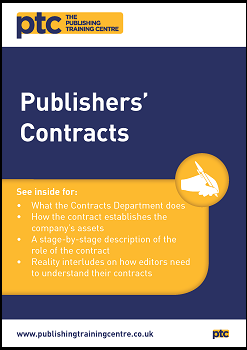 Understanding how publishing contracts operate and appreciating the concerns of those who handle them (whether in-house or out-house) should enable everyone to negotiate better deals on all sides. Whatever your circumstances, this guide aims to bring you the essential tools you need to handle contracts, and broad guidance to give you the confidence to understand the terms and clauses contained therein.